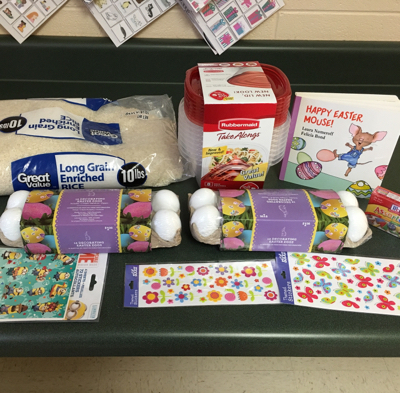 Our theme was Easter! 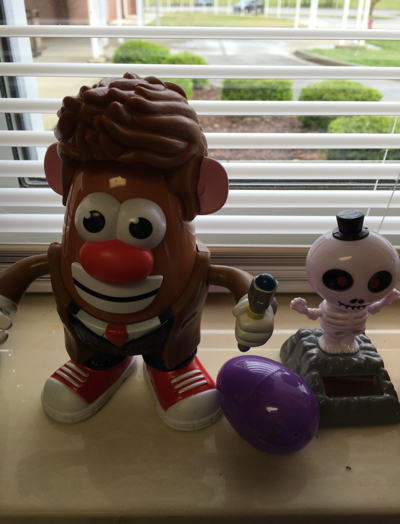 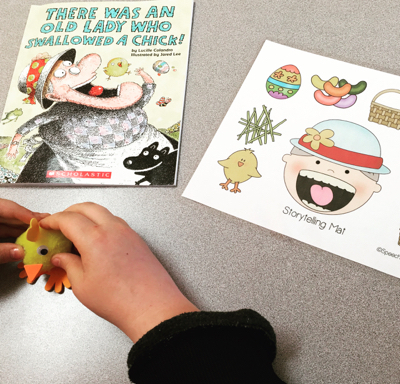 Some of the students in my self-contained classrooms got to read the adorable story about Easter themed items titled There Was An Old Lady Who Swallowed An Egg. 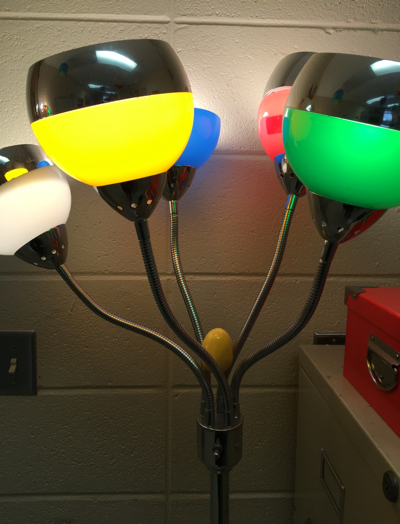 Some groups got to follow simple or multi-step directions to make their very own baby chick, like in our story! 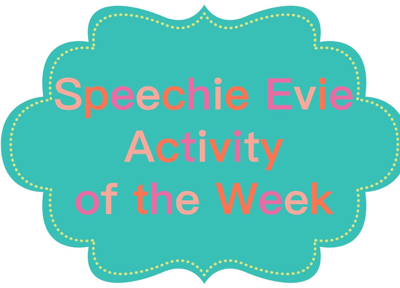 Here is one student who was working on answering -WH questions, sequencing the story, and typing phrases and sentences (AAC apps) about the labeled items. 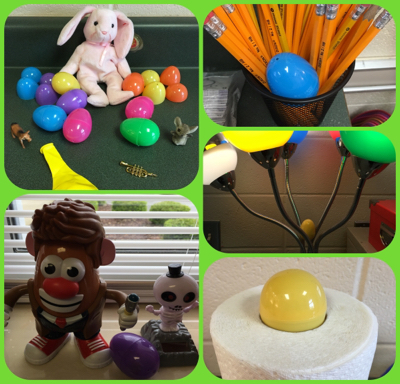 For other groups, we did some inferencing and predicting with an old-fashioned Easter egg hunt within my classroom! 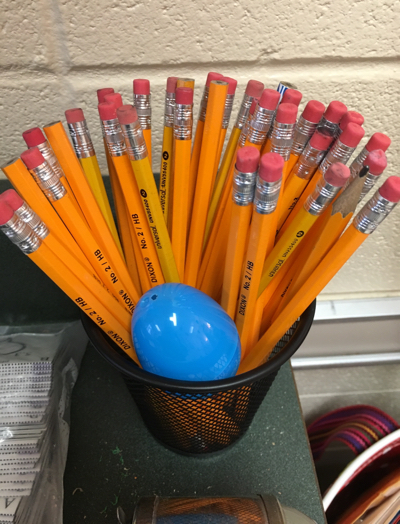 Once they found an egg they had to describe where they found it (prepositional locations) and then guess what was inside using -WH questions. 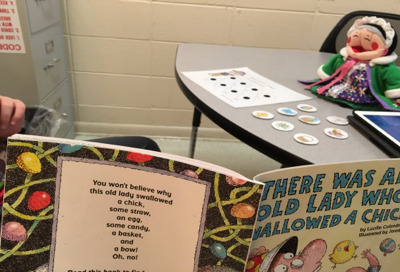 Some of my students with language needs struggle with knowing what kind of questions to ask to figure out their surprise so we used the EET language kit to assist with describing and asking questions.